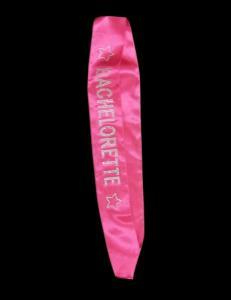 Sash with Bachelorette Logo Hot Pink GASDIABACHHP. Beauty contestant style sash is a great way to decorate the bride to be. Gasworks Novelties.